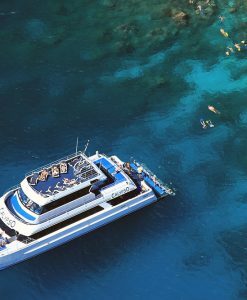 If you don’t want to charter a private boat to scuba dive the Great Barrier Reef from Port Douglas then there are a number of shared charter scuba diving boats on offer to choose from. 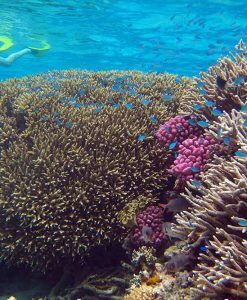 Port Douglas Reef Charters are proud to recommend smaller group shared charter scuba diving boats. These products focus on customer service and have big comfortable purpose built boats. Shared Charter Scuba Diving Day Tours! 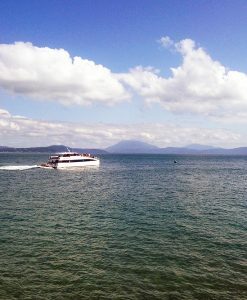 The shared charter scuba diving boats from Port Douglas typically take guests to three outer reef sites in the day. The Dive Masters and Dive Instructors on the shared charter scuba diving boats usually only take small guided groups of 8 divers. 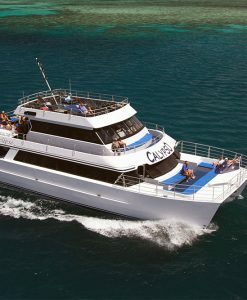 The price of the shared charter scuba diving boats includes lunch, equipment, transfers within Port Douglas from your hotel accommodation as well as morning and afternoon teas. Soft drinks and bottled water are available on board for purchase. On shared scuba diving charters, Introductory divers and certified divers dive in separate groups. This allows the more experienced divers to go to deeper sites and explore more. Experienced scuba divers usually do their deepest dive first to a depth of 18 metres. The following two dives throughout the day are shallower. 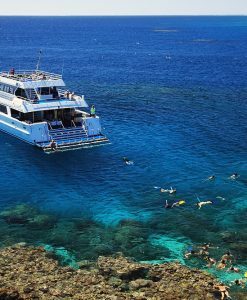 Not just for the scuba divers, the shared charter scuba diving boats can also take snorkelers to the Great Barrier Reef. This means that mixed family groups of divers and snorkelers can enjoy a day out to the reef together. If you have a family member that wants to try a scuba dive then you have the option to do what is called an Introductory dive. 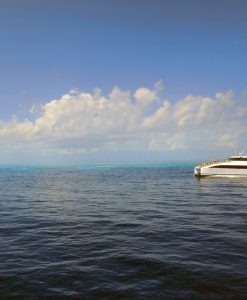 On the journey to the reef on your shared charter scuba diving boat, the dive crew will give you a brief on scuba diving. Once at the reef you will learn some essential in-water skills, then you will descend to a maximum depth of 10 meters with the dive instructor. Once you have successfully had a first dive as an introductory diver, you are then able to do two more dives on the day.